Spotify is probably the most popular music streaming service in the planet to date. With Spotify, you can easily stream and listen to any of its more than 20 million tracks almost instantly using just about any device you can think of. 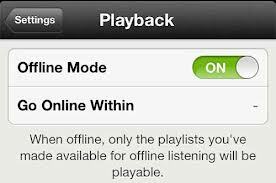 Fortunately, Spotify features a Spotify offline mode which lets you sync your playlists and albums to your devices allowing you to continue listening to your favorite tunes even during network outages, when on a plane, or when entering a tunnel on your daily subway commute. 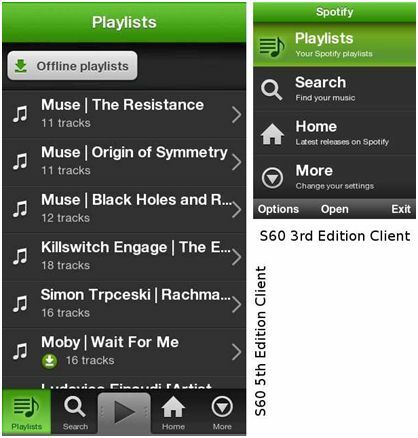 Here we will talk about tips on Spotify offline you should know. 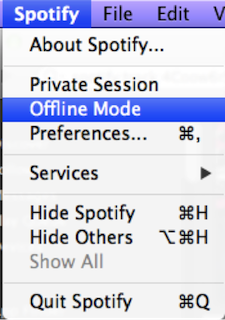 Part 1: How Does Spotify Offline Mode Work? 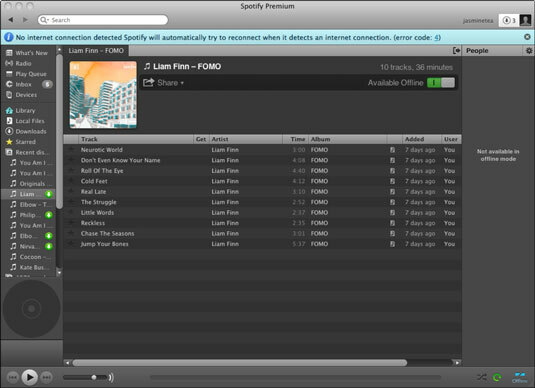 Spotify offline mode allows users to sync their playlists and albums to their devices but unlike other music streaming services, you don’t actually buy the songs in your playlist, instead, syncing your device with Spotify gives you temporary offline access to your saved playlists and songs even when you’re offline. Spotify doesn’t sync individual tracks but rather syncs your playlists, even playlists you have subscribed to. You can sync a maximum of 3,333 songs per playlist per device, just keep in mind that Spotify only allows you to sync three devices at a time, once you sync a fourth device it automatically deletes the synced content on your first device. You can stay offline for up to 30 days but don’t forget to connect your devices to the internet before then or risk syncing everything all over again. 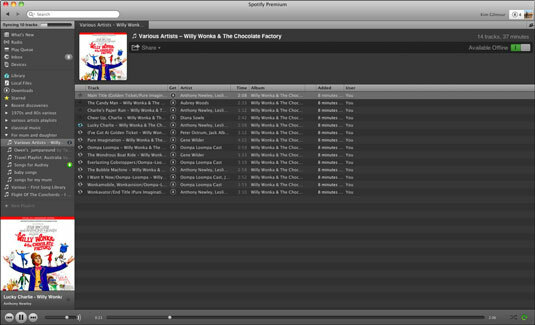 Step 1: While online, select the playlist you want to sync by clicking on the playlist name in Spotify window’s left sidebar. Step 2: At the top right of the playlist, flick the Available Offline switch to the On position which should turn it green. Another way to go about this is to Ctrl-click a playlist name on the left sidebar and select Available Offline from the pop-up menu. The spinning arrows next to the tracks indicate that Spotify is syncing the tracks. A progress bar also appears on top of the left sidebar showing you how many songs are left to sync. A green circle with a white arrow appears next to the playlist name when the playlist has been successfully synced. Don’t worry about shutting down your computer while syncing, as long as you’re still connected to the internet, syncing will pick up from where it left off. Error code 117 usually means that the Spotify app is having trouble communicating with its servers. This could be caused by incorrect settings or a firewall blocking the program’s access to the internet. If you encounter this error, try these easy troubleshooting steps to isolate the problem. Just keep moving down the list until you either solve the problem or run out of steps. 1. Temporarily disable your antivirus software. Your antivirus software might be blocking Spotify’s attempts to access the internet. If successful, re-enable your antivirus (Very Important) then add Spotify to your antivirus software’s exception list to fix this problem. 2. Disable your firewall and try connecting again. If you get through without the error, then you can probably leave you firewall off. If you’re not comfortable doing this then the way to go would be to add a firewall exception for Spotify. 3. Are you using Spotify in your office or school? Offices and schools usually have additional firewalls in place. Talk to your network administrator to solve this problem. Using a proxy server may also work. 4. Perform a clean reinstall. This means that you uninstall Spotify, reboot, delete any leftover files, if any, and then reinstall an updated version of the program. Your version might be out of date or network settings might have accidentally been changed. Reinstalling will make sure that you have an updated version installed while reverting all settings to default. 5. The service might be experiencing technical difficulties. Check @SpotifyStatus for issues that may be affecting the service. 6. If all else fails, post your problem on Spotify’s community forum. Make sure to include everything you’ve done so far so that they don’t ask you to do it again. 1. Syncing a fourth device offline. You will probably see this problem on your first device you synced offline. You are only allowed three offline devices at a time, syncing a fourth device will revoke access to the first device you synced. 2. An expired Premium subscription. 3. Your device being offline for more than 30 days. Offline access is automatically revoked if your device is offline for more than 30 days. 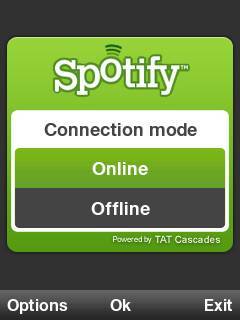 Spotify’s offline mode is great, but you still want to be able to connect online when you choose. Occasionally after using Spotify’s offline mode, your computer will be unable to access the internet again. This could be an issue with your firewall or it could be a glitch in the system. Whatever the cause, it is a fairly easy fix. 1. The first thing you need to do is check your internet connection. Make sure you can connect to the internet and that there is not any limitations on your usage. 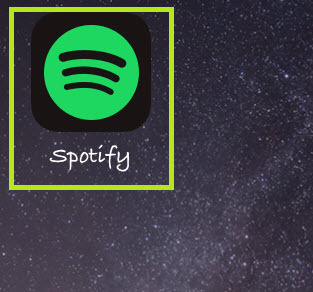 Sometimes, if your internet is running slow, Spotify will not connect because your internet connection is not strong enough to handle the amount of data Spotify requires. 2. If you’re internet is working fine and you have a strong signal, then you need to restart your computer. A lot of the times this will fix the error. Once your computer has restarted, open Spotify and attempt to stream music. If it is not working, proceed to step 3. 3. Check all your settings and firewalls and make sure that nothing is blocking Spotify from connecting to the internet. Temporarily turn off your firewall and see if you can connect. If you still have problems, then turn your firewall back on and continue with the final step. 4. The problem may be caused by a glitch in your Spotify software, so the best thing to do is uninstall Spotify and then re-install it. Once you have uninstalled Spotify, go to the Spotify website and download the most recent version of Spotify. Always download the most recent version, to make sure that you avoid any bugs or errors. 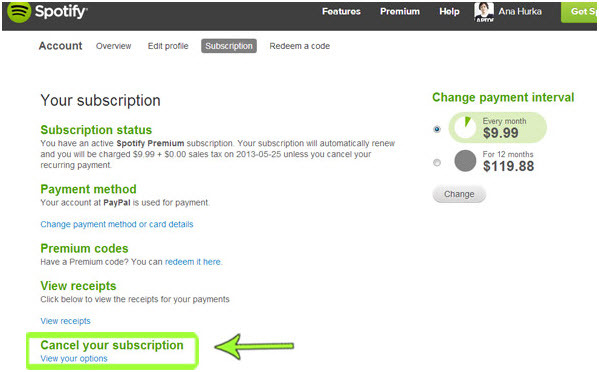 Follow the instructions and re-install Spotify, once you do it, it should be working again as good as new. As you can see, the issues connected to using Spotify offline are easily fixed. 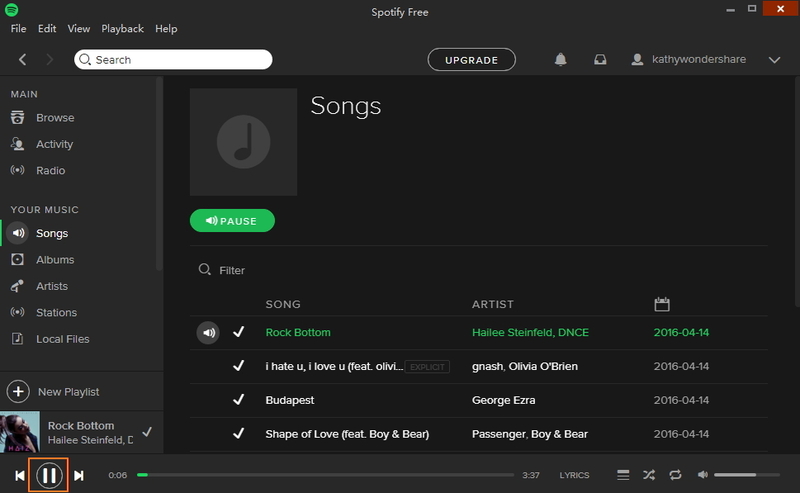 If you are having problems using Spotify in offline mode or if your computer is getting stuck in offline mode, follow the tips above and everything should be back up and running in no time and you will be able to listen to music offline whenever you want. iMusic is the best music downloader that works on Mac and Windows which allows to discover and download music tracks from 3,000 more popular sites just by copy & paste URL. 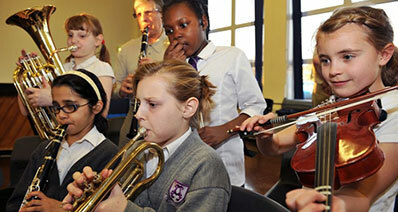 Besides it is equipped with lots of useful music helper to offer you a better music enjoyment. Discover and download music from Spotify, YouTube, Pandora, iHeartRadio and 3000 more sites. Transfer downloaded music files between PC and mobile, from iPhone to Android or from Android to Android, etc. Equipped with a well-balanced audio recorder which allows to record any live sessions. Easily backup, rebuild, repair or fix iTunes Library even from a Windows PC. Help fix ID3 music tag, transfer music to usb card, delete duplicate tracks, manage music library, etc.